In today's real estate market, finding the right real estate agent is critical. With real estate expertise for both buyers and sellers in Hernando, Citrus, Pasco and Hillsborough Counties, you've found the right source for all of your real estate needs. 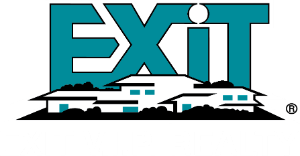 Whether you are looking for a new home or vacant land, Exit V.I.P. Realty can help. Our agents in the office are working under an experienced licensed broker, all of our staff members are high caliber professionals with extensive experience and knowledge about our local real estate market. Our agents come from diverse backgrounds but all are dedicated to providing the highest quality service to our clients. Meet Our Agents! In addition to our agents and brokers, we also have three full time administrative staff members and 2 part-time that work tirelessly to accommodate any and all of your needs. Our office is open 7 days a week...........here to serve you!!! One of Hernando Counties TOP TEN Real Estate offices will sales exceeding 13 million last year. Multi-million Dollar producer award in Citrus County.